We are big fans of Earth Day at the Nature Museum. This beautiful planet deserves recognition each day, but all the same we will readily spend this particular day celebrating the earth. 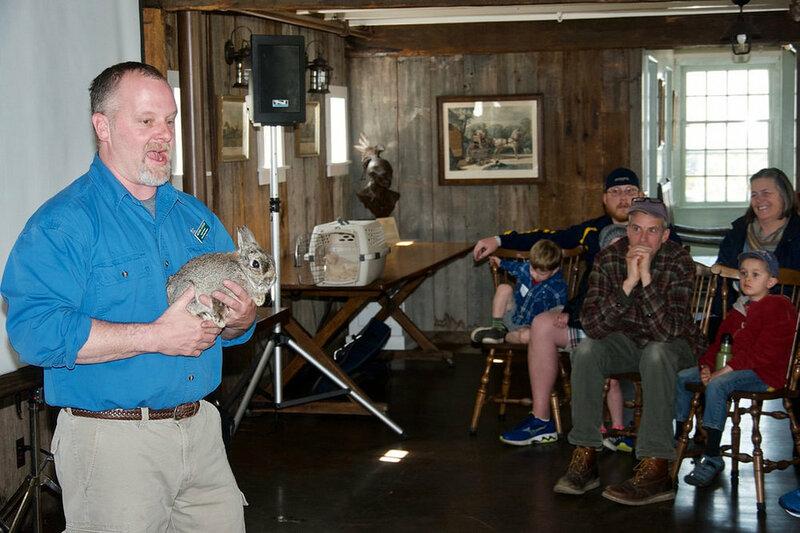 On Saturday, April 15th we enjoyed a special program for youth and families in honor of Earth Day. In partnership with the Southern Vermont Natural History Museum and The Grafton Inn, we proudly presented “Vermont Wildlife: The Working Landscape Edition” in honor of the special day. Mike Clough gave an overview of the ways in which Vermont's landscape has evolved since the time glaciers covered our state. He explained how the animals that call Vermont home have managed to adapt to humans' huge impact on our shared landscape. Since The Nature Museum is dedicated to supporting the continued growth of children's innate affinity and wonder for nature, all kids got in free at this amazing wildlife event. Guests concluded their morning with an exploration of our museum. Thank you to the “grown ups” for supporting our work and the next generation of nature lovers. Thanks also go to our friends at the Grafton Inn for collaborating with us to transform Phelps Barn into a festive Earth Day Party complete with an interesting program and delicious Earth Day cake. Will Danforth performed a set of songs as well! Many thanks go to Wayne LeFevre for volunteering his time and skills to capture the photographs of this event. So much gratitude also for Erin Hennessy for donating her time and ingredients to bake the most beautiful and delicious Earth Day cake! We had our Earth Day celebration a week earlier than usual this year. We wanted to give our staff members a chance to honor this special holiday in whatever way rejuvenated their spirits and strengthened their commitment to continue to steward the planet. On Earth Day, several board members represented The Nature Museum at the March for Science in Boston and Washington, DC while others took long hikes and forest baths and lovingly toiled in their gardens. Have you heard of the pledge of allegiance to Earth? We think it's worth repeating and sharing!